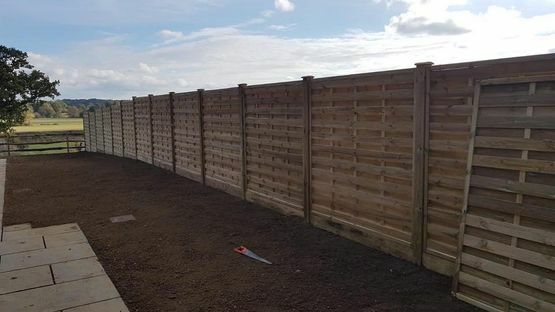 As well as improving your home's aesthetic appeal, Dale Fencing Ltd in Sutton, Surrey, knows that a strong fence can also increase the value of your property. If you’re in need of fencing repairs, there is no job too big or too small for our team. We can fix broken fence hinges, upgrade gate locking systems, change rotten timber posts or remove and change damaged panels. To view examples of some refurbished fences, visit our gallery page. We cater to schools, new builds, private companies, construction sites, and any residential homes in Sutton and Surrey. If you need any other information, get in touch with our team today. Call today in Sutton, Surrey, to discover more about how our fence repair service can fix your broken fence.